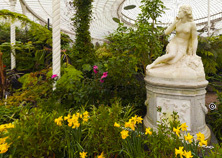 « Plant Doctors -Glasgow Science Festival 2018-Pop Up Event in the Kibble Palace. 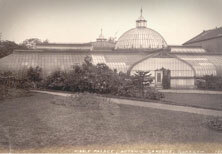 This workshop is taking place in the beautiful Kibble Palace @ The Glasgow Botanics. 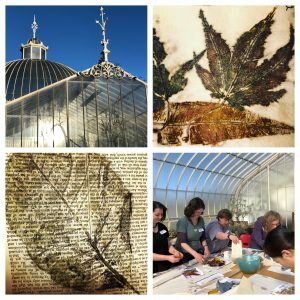 The Botanics is the perfect place for discovering and harvesting the necessary leaves needed for this eco printing workshop. 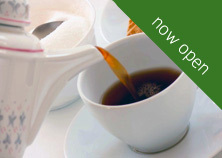 You will take a walk around the garden to discover the best trees for Eco printing and harvest some leaves. 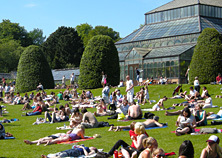 You will familiarise yourself with the basic technique of eco printing and will work both on new and recycled paper. You will create beautiful and unique work using the leaves you have discovered. In the second part of the workshop you will work with natural material and eco print a scarve, your very own scottish scarve with your specially selected leaves.